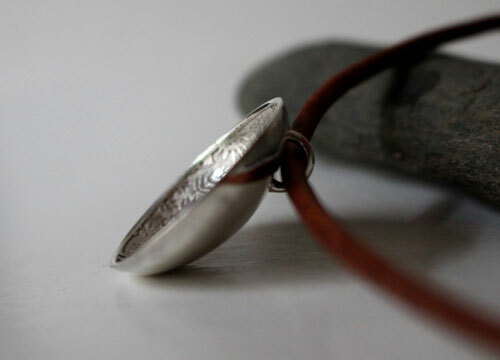 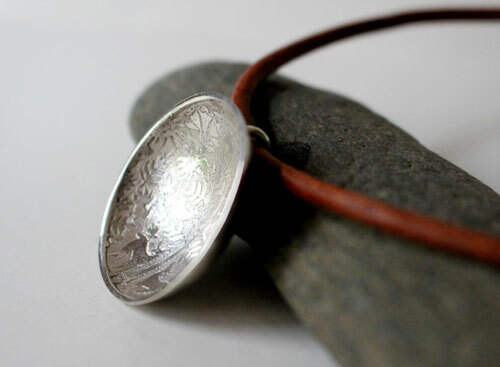 The Unknown Clearing is a set made of a round leather necklace and of an engraved sterling silver pendant. 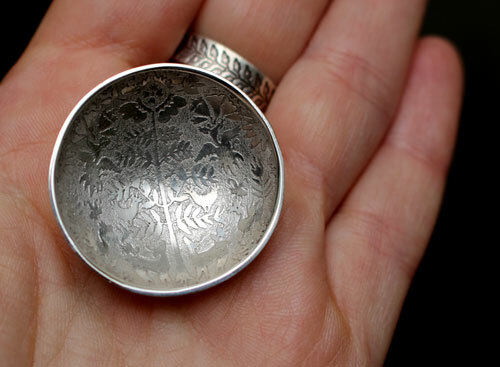 The engraved pattern represents an animal and vegetal scene with a bucolic character. 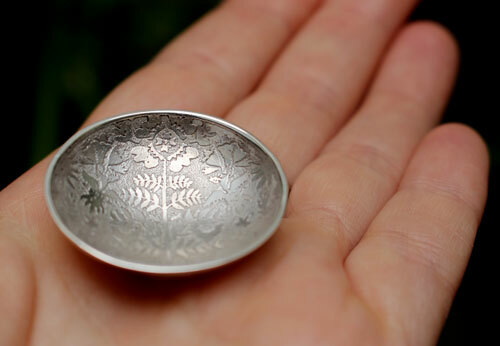 It is inspired by traditional motifs Otomis, a tribe from northern Mexico known for its textile work and especially embroidery. 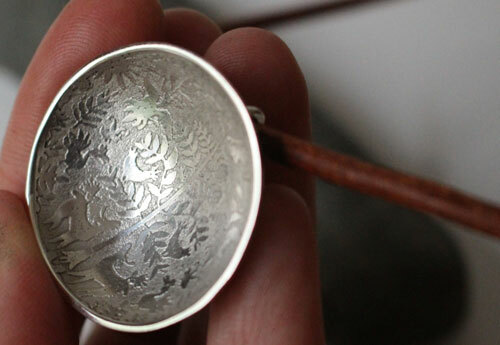 The pendant was then embossed in order to give this cup aspect. 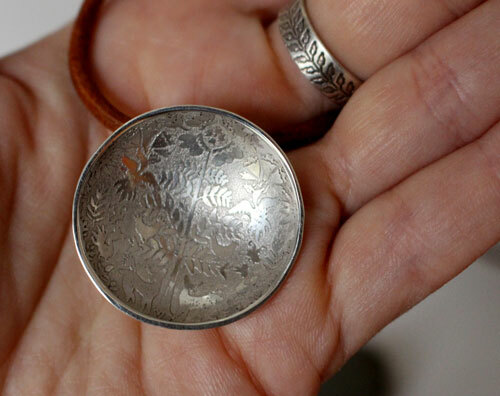 It is a very unique piece of jewelry that you will not see everywhere. 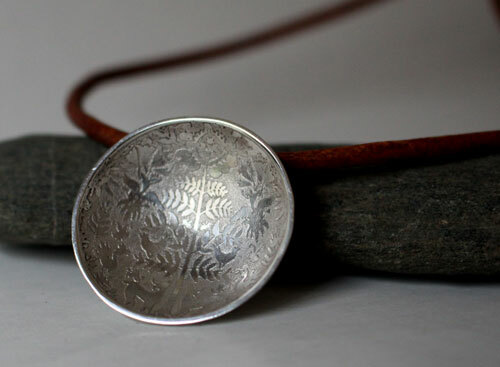 Tag: necklace, engraving, tree, sterling silver, deer, leather, bird, nature, bucolic, vegetation, plant, botanical, Otomi, embroidery, garment, traditional, Mexico, native American, gift, wedding, birthday, engagement, baptism.